It’s been a very busy few months, and there is a layer of dust on this blog, I know. Yet I think of making entries so very often, that in the end get put off because it’s last on the list of priorities and I just want to collapse into bed! The perfectionist in me is also very fond of self-censoring. But I’ve come into some “easy time”, and so I am back. I felt something on Sunday, the 5th of April. It was just past noon, and I became aware (as I was in the passenger seat of the car), that there was a feeling in my chest of something dire just averted, as if having come out of a near-accident. As if there had been a fork in the road, and we had taken the better route instead of the one leading to doom. The feeling persisted over lunch then started to fade. Watercolours and salt on paper, 5 by 8 inches. On the way home, the road we took (which we don’t travel often) was lined with flowering trees that were spilling their blooms everywhere. 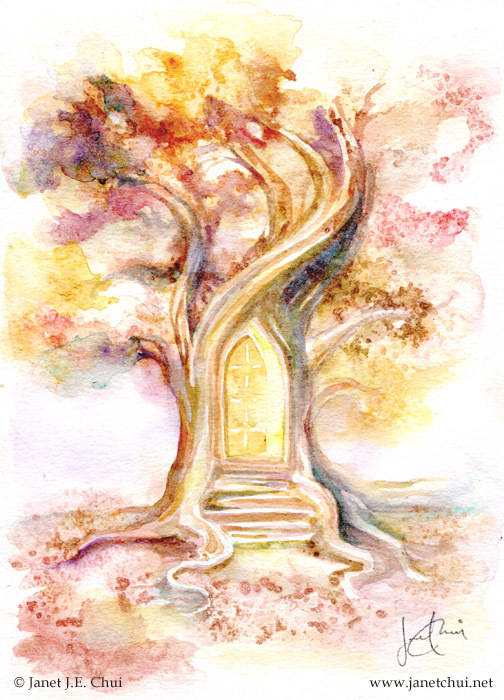 I felt as if there were doors everywhere around, and words were in my head: “The doors are all open!” I could walk in any direction, and be in a beautiful time and place, and every moment was such. Well, anything is possible nowadays! 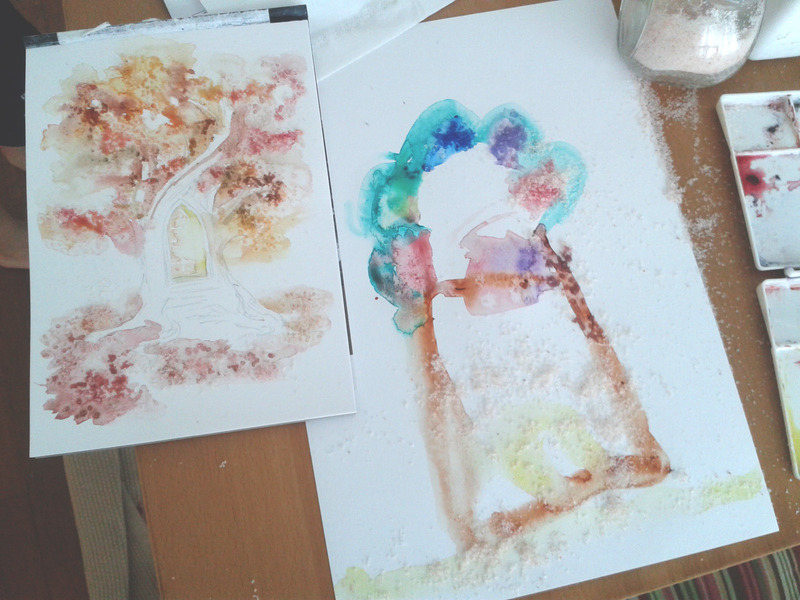 The watercolour and salt paintings side by side.